My anti-social tendencies kicked in, or maybe my need for some shade! This June and July have been pretty stinking busy. 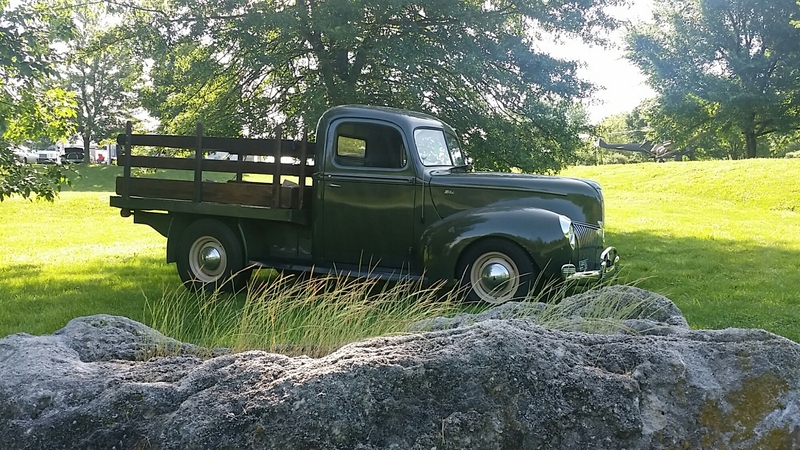 Getting the Forgotten Flathead running, catching some car shows, fixing broken cars and trucks, has kept me hopping! 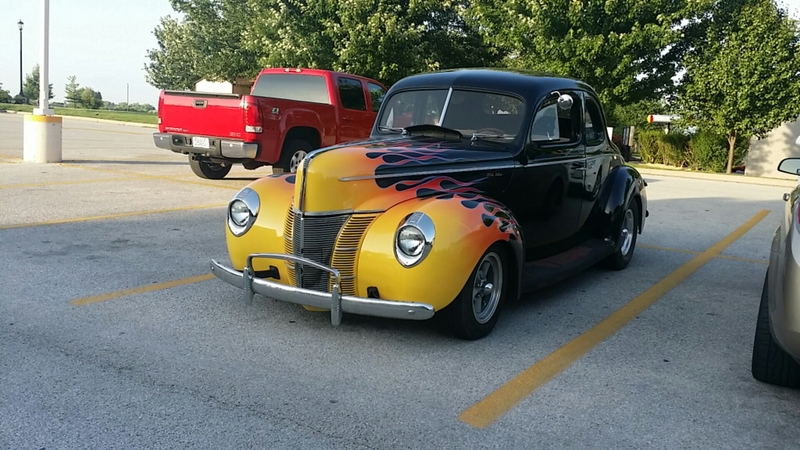 Had the electric fuel pump die, in the ’40 coupe, after about 20 years of service. 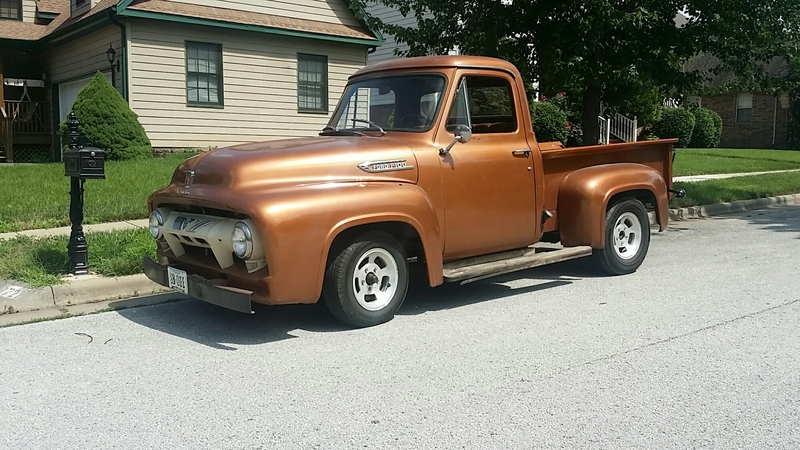 Broke the starter bendix in the ’54, and haven’t washed any of my 3 hot rods yet. 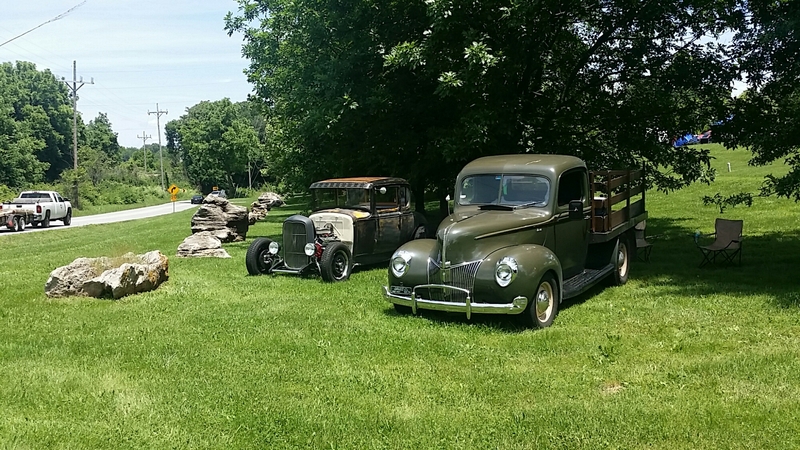 A few photos from the Queen City Riot, a recent run for ice cream and milk, an “after” shot of the ’54 when I rebuilt the spring packs, the July 11/12 run to St Louis, and the prize I brought home with me. Yeah, I like this shot. Parked out at the Queen City Riot. 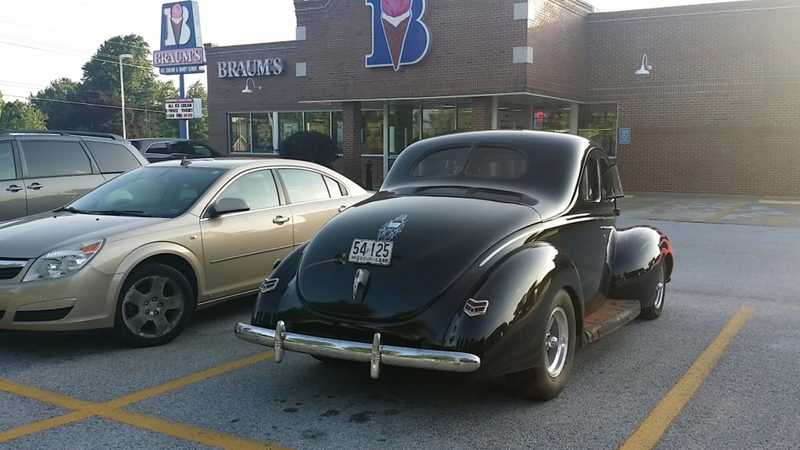 Sometimes you just gotta make an ice cream run! Yeah, I said I wouldn’t post it, but here’s a shot after rebuilding my spring packs and before I broke the starter bendix. 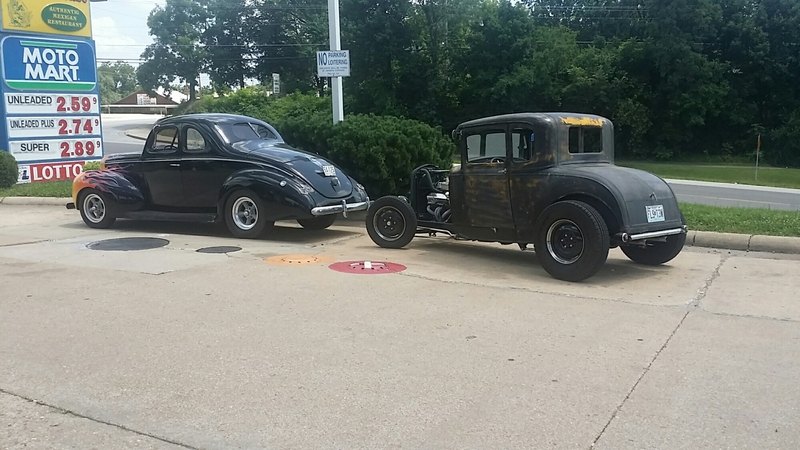 After fueling up, we moved over to let other patrons do the same, while we went inside for some refreshments. Capturing a glance at Doug & Lori in the A coupe. 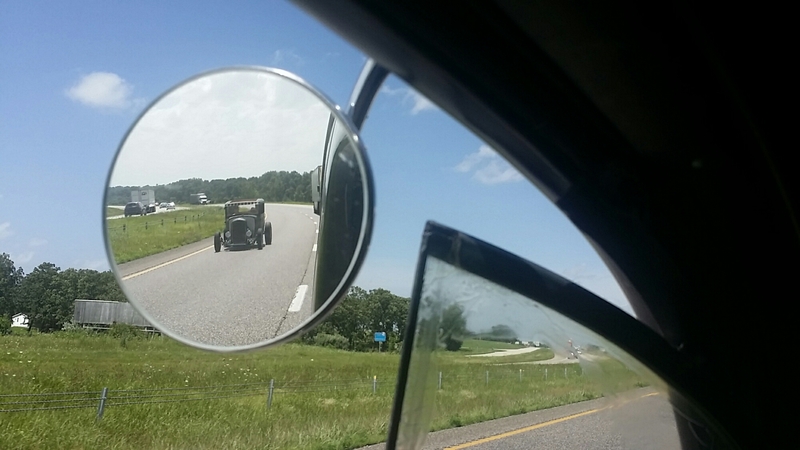 One word describes Dickie Carroll’s ’34 Roadster. 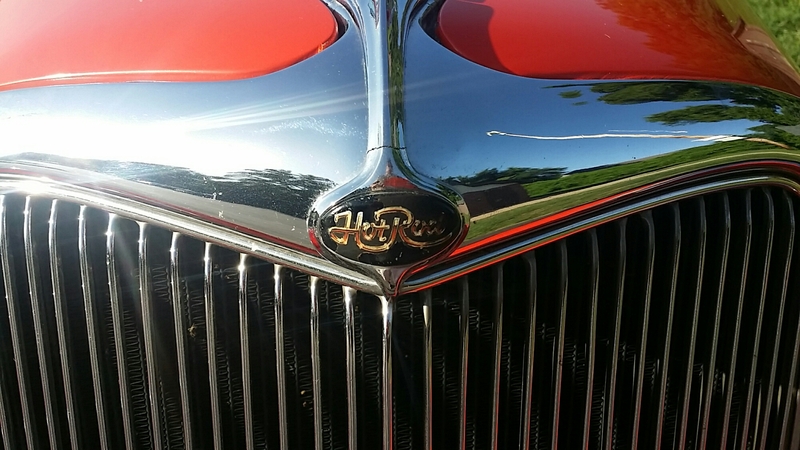 HotRod! 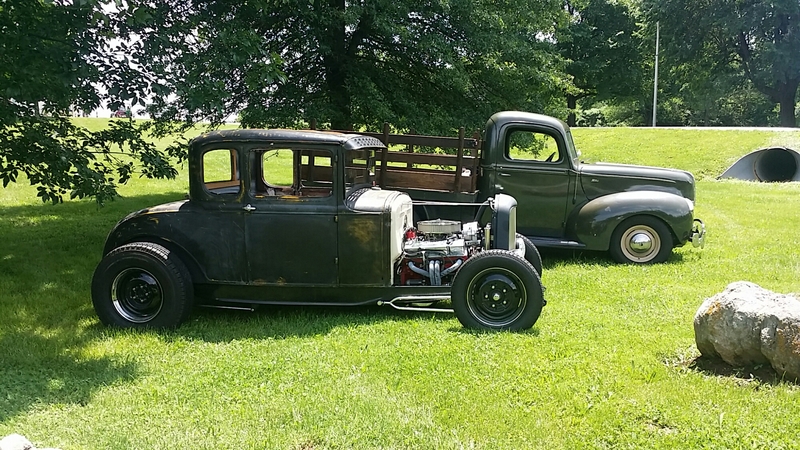 Randy Meierhoffer built Dad’s ’34 back in the ’60’s. 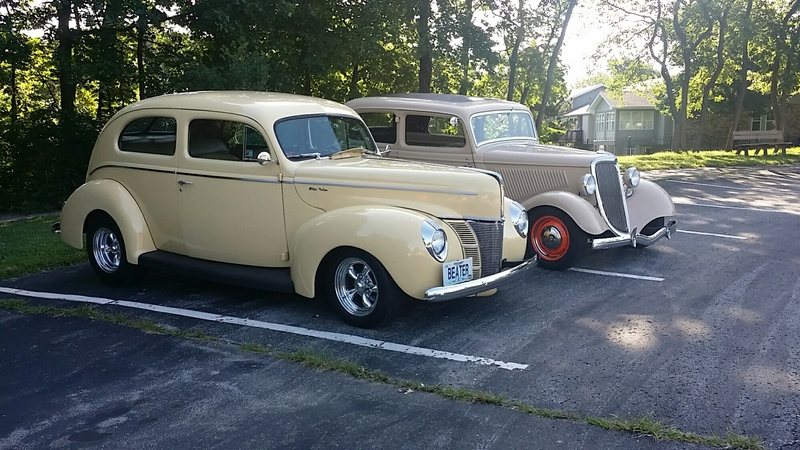 Here’s Randy’s ’40 Deluxe Sedan parked next to the ’34. 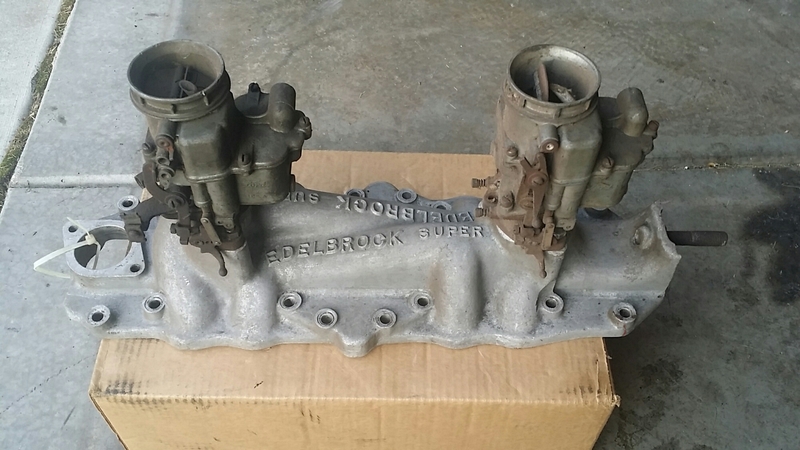 The Edelbrock Super intake that has been permanently loaned to the Forgotten Flathead. Nothing like posting “everything but the kitchen sink”! 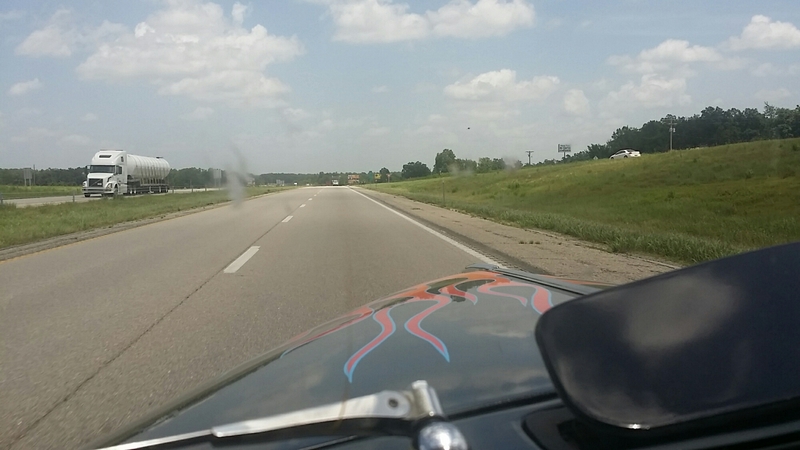 By the way, don’t forget to register for the upcoming Hot Rod Hundred events. We have Oklahoma City in September, St Louis in Mid October, and Dallas on Halloween!